Volunteers of America’s Fresh Food Factor ensures that local schoolchildren start their school day with a healthy breakfast and lunch. Cruz is just one of the thousands of school children who enjoy nutritious meals each day to nourish their mind, body and souls. ​Dominque is a mentor with Volunteers of America’s Mentoring Children of Promise Program. 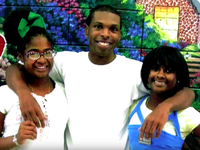 The program offers mentoring services to at-risk youth and youth with a parent incarcerated. Dominque is a key figure in the lives of her mentees, Region and Reign, to help ensure they can overcome life’s struggles. Eugene came to Volunteers of America more than 30 years ago after his mother could no longer provide him with the proper care. Thanks to our Supported Living Services Program, Eugene is able to live a full, independent life. Robert and Joseph, brothers with intellectual disabilities, have been living together with Volunteers of America for more than 25 years. Volunteers of America's Community Living Services stepped in when their mother could no longer care for them. Our Community Living Services Program offers persons with intellectual disabilities a chance to live independent, happy lives. Charles was like many older adults living on a fixed income. He needed help to make repairs to his home of more than 30 years, and Volunteers of America stepped to ensure that Charles could keep living a happy, safe life in his home. 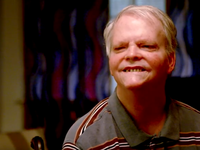 Clay is one of our many residents living in our Supported Living Services Program, which provides in-home support that allows people with disabilities to remain in their own home and build an independent life. 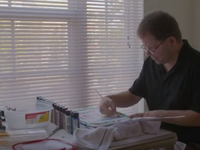 Clay loves to paint, read and to be living in his own home. 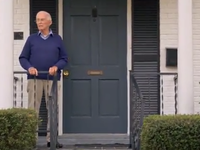 He works and his direct service provider helps him complete any daily tasks around his home. 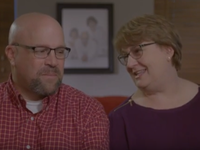 Jim and Cathy fell in love quickly and knew that adoption would be an option to start their family. The couple said their open adoption has been a blessing that allowed them to provide a two-parent family for their daughter, Anna. Anna's birth mother is still a part of their lives, and Cathy said they can't imagine their lives without Anna. The duties of Direct Support Professionals are challenging in stable times—with the skills and dedication needed to care for those with disabilities. 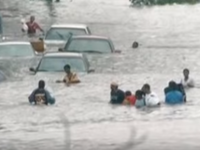 But what the Volunteers of America Greater New Orleans staff displayed during the arduous, heart-wrenching times of Hurricanes Katrina and Rita was commitment to their consumers that transcended the call of work and entered the domain of family. In addition to the demanding tasks of securing housing and safety for their own families they worked hard to provide services, comfort, and hope to the most vulnerable in our community. Volunteers of America is a leader in helping individuals with intellectual and developmental disabilities lead independent, meaningful lives. See how one family was able to keep their son living at home with the help of our Supported Living Services program. Health issues and a lack of home handicap access caused stress and isolation for Mr. Sowell. 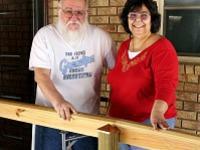 But thanks to a ramp built by Volunteers of America's Repairs on Wheels program, Mr. and Mrs. Sowell now enjoy greater mobility around their home and a better, safer standard of living.